LG's PR faux pas over a possible Android 2.3 update to the Optimus One has been mitigated by a new promise from the Korean firm. The electronics firm originally claimed that the Android 2.3 update wasn't coming for the budget phone, as it couldn't be run with a meagre 600MHz processor. 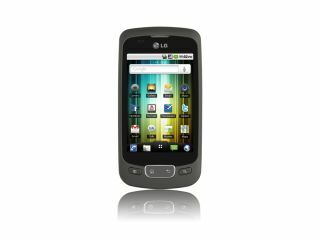 "LG will upgrade all Optimus One smartphones currently using the Froyo OS to the next version of the Android OS, Gingerbread. Details of the upgrade schedule will be announced locally in due course. "We sincerely apologize for the confusion and misunderstanding that was caused regarding this issue." It takes some steely nerve to completely admit fault over something like this, but the fact it initially tried to pull the wool over its users eyes, wittingly or not, isn't likely to be forgotten anytime soon.